We can see where and suburbanization share sirmlaiities. However, new urbanism can be accomplished in urban areas, as well. The idea of a self-sustained community within a city is very doable. Because of the recession, most new urbanism projects have been focused in fringe areas due to cost of living. An upturn in the economy and pedestrian pushes in places like New York City could change this pattern. I used to live in Somerset Crescent and then Chunking Crescent – and I remember the back to front houses. In somerset the back of our houses were separated by a little footpath running the length of the street. But chunking had meters between the houses. I don’t know what it was for but it drove my mum a bit nuts that we could escape from both the front and the back of the house. The somerset footpath at the back served a purpose, since we could use it to get to the street where the phonebox was or across the way to Coles. Chunking cresent didn’t, at the time, serve any purpose. You could drive a car through the wide lane, but the gardens had no gated access to the back. Maybe they had plans for it, but it was left empty for the few years I was there. I thought everywhere was built that way until I travelled – especially in Europe. Things are very different – country to city. But I suppose it’s like designing your own kitchen, what works for your cooking habits, may not work for other peoples cooking habits. Great blog. Keep up the fab work. As a surveying student in the early 70’s I studied a unit of town and urban planning was studied, and in this unit the Radburn design concept was examined. At that time “Crestwood” in Thornlie was being developed with the intention that housing layout would be based on Radburn. 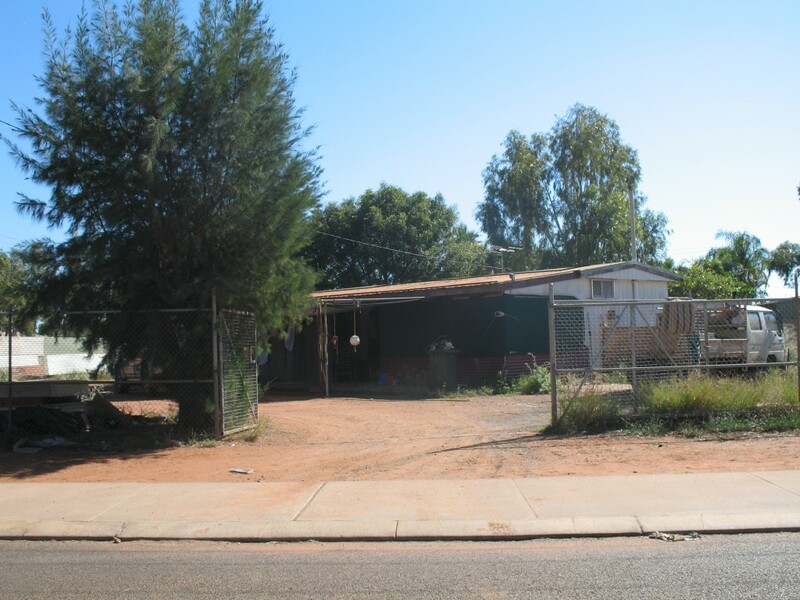 A visit to “Crestwood” showed that the concept had not been embraced with the majority of houses facing the street, so I was not surprised that the concept did not work in South Hedland. In 1974 when I went to work in South Hedland I was dismayed at the amount of rubbish and old car bodies that had been disposed of in the areas set aside for pedestrian access and recreation. This being only a few years after the first of the housing had been completed. Over the ensuing years much has been done to normalise the layout of South Hedland with the disposal of the pedestrian access ways to neighbouring land owners and the opening up of the road network by connecting the numerous cul-de-sac. I agree that “A visit to South Hedland is a must for all current and future town planners in local government.” to see what not to do. Thanks for the message Dan.